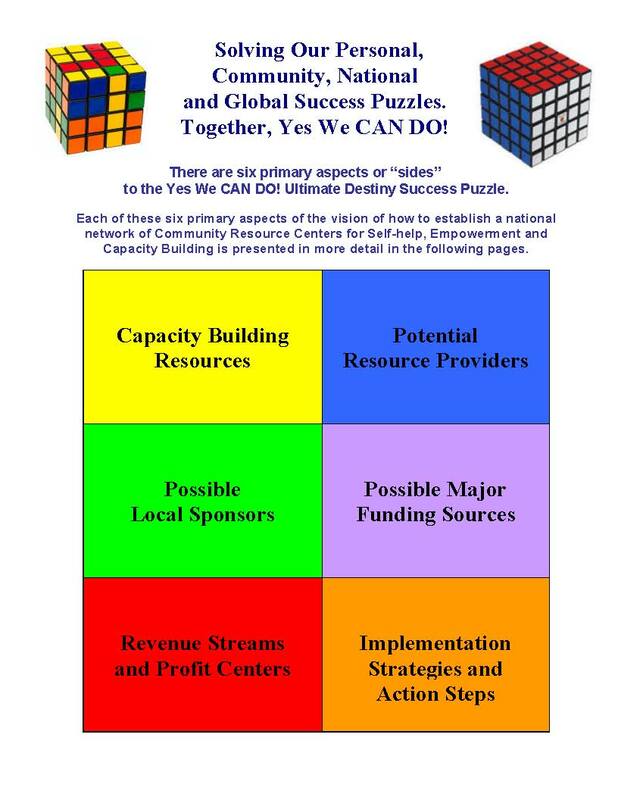 Establishing a Network of Community Economic Development and Empowerment Resource Centers | Solving Our Personal, Community and Global Ultimate Destiny Success Puzzles -- Together, Yes We CAN DO! More specifically, we envision the establishment of a national (and then international) network of thousands of local, non-profit Community Economic Development and Empowerment Resource Centers. These Centers would help individuals, organizations and communities realize more of their potential and enable and empower them to help solve the global social, economic and environmental challenges we face together. Community economic development includes a focus on three areas: Self-help; Empowerment and Capacity building. 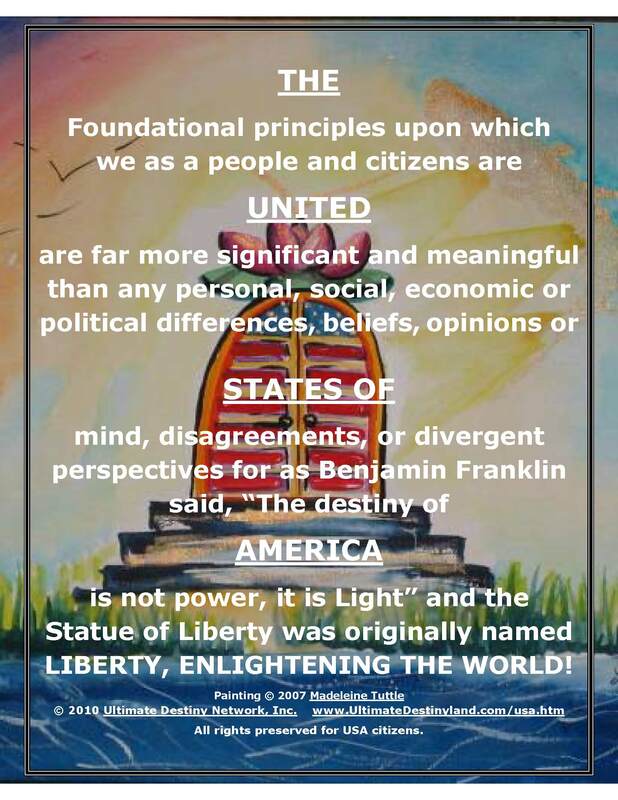 Click Here for the draft copy of Solving Our Personal, Community, National and Global Ultimate Destiny Success Puzzles. It will include content from Michael Swack, Ph.D., Dr. Emmett Miller, MD, Elliott Maynard, Ph.D. and Charles Betterton, MS CED. The book will also feature insights, recommendations and featured resources from some of the Ultimate Destiny Hall of Fame Award™ recipients such as: Paul J. Meyer, Les Brown, Brian Tracy, Ken Blanchard, Deepak Chopra, Jean Houston, Barbara Marx Hubbard, Wayne Dyer, Bob Proctor, Anthony Robbins, Mark Victor Hansen, and Jack Canfield, etc. Each of them is being invited to share their recommendations and featured resources for helping individuals, NPO’s, companies and communities realize more their potential to help address the challenges and the opportunities that lie before us. When we would then ask “What are the positive corrective measures that could be taken to address those challenges?” , we have almost always gotten answers about the need for having expanded access to resources, models and success stories of how other other organizations and communities have successfully addressed similar problems. After several years of testing and refining various approaches to local community development and empowerment resource centers, our team has developed an outline for the proposed establishment of a national network of CAN DO! Community Economic Development Empowerment Resource Centers. The CAN DO! Community Empowerment Resource Centers that are based on 40 years of (mostly) award-winning prototypes as described at http://www.candoresourcecenter.com) will enable millions of people to have expanded access to state-of-the-art development training programs that are usually targeted to the top 10% of Corporate America. We are preparing to launch a campaign to Expand the Circle of Success by facilitating the donation of 100 million dollars worth of development training resources to and through some of the 500,000 potential local sponsor agencies we have already identified. These CAN DO! Community Empowerment Resource Centers will be staffed by certified Empower Mentors and Successful Living Coaches. As a result of the educational programs that will be provided, participants and their families will learn how to apply successful living skills, non-profit organizations will discover innovative approaches to higher levels of efficiency and effectiveness, companies will benefit from higher levels of productivity and profitability, communities will benefit from a shared vision, higher levels of co-creative participation in government and all areas of living together and America will fulfill its ultimate destiny as a fully actualizing society. In response to then President Elect Obama’s call for Americans to share our ideas as solicited by Change.org and change.gov, our team at the Ultimate Destiny University for Successful Living decided to publish our vision and invite co-creative participation in the implementation strategy already in place for Solving Our Personal, Community, National and Global Success Puzzles. Solving Our Personal, Community National and Global Success Puzzles! Manifesting stewardship over the talents and treasures entrusted to us by God/Spirit/Source/Creator. What if the experts who say most people only use about 5% of their potential are right? What if there are resources already used by the top achievers in our world that could help people utilize more of their potential and harness their creative power so they could become part of the solution to the global economic and environmental challenges we face? And what if for the first time in the history of the world, there was a way and an available technology to provide a comprehensive and integrated system for bringing the best of these tested and proven resources to millions of more people, organizations and communities world-wide? How might empowerment and capacity-building be enhanced through an international network and an infrastructure of transformational learning centers staffed by facilitators trained to help individuals, organizations and communities see, believe and achieve all they can be, do and have stewardship over? Would the world be a better place? Would we be better able to identify and resolve the root causes of the many complex challenges and problems we face as a global family? Mark Twain thought so, and so do we . . .
Earl Nightingale, the “Dean of Motivation” and co-founder of Nightingale-Conant told a story about a father who was trying to work who had a young son who wanted to play. The father cut a picture of the world out of a magazine and made it into a jigsaw puzzle. He gave it to his son and told him that they could play when he had put the puzzle back together. Whatever your political orientation, then President Elect Obama inspired millions of us to know that the answer to whether we can solve any challenge — or achieve any worthwhile goal is — “Yes, we can!” For several decades, many successful prototypes for helping empower individuals, organizations and communities to develop a CAN DO! attitude have been tested and proven. Universal Stewardheirship, CENTER SPACE and Ultimate Destiny University are fostering the realization of human potential and “Expanding the Circle of Success” through the establishment of an international network of facilities and facilitators that provide resources for personal, organizational, and community empowerment. Our team has been conducting research for more than 40 years on the best programs, products and trainers to discover those that actually deliver results and help participants learn how to develop successful living skills. We have developed dozens of new proprietary programs, products and systems that help people learn how to learn. We have also developed strategic alliances with the producers of best-selling programs and have developed adaptations of their programs designed to be more effective for the populations we serve, especially those who may have had limited experience with development training materials. http://www.expandingthecircleofsuccess.org. In addition to product development activities, we have been designing, testing and refining various models for the local delivery of educational programs which has been documented in some of the hundreds of newspaper articles at http://www.CanDoResourceCenter.com. This work has included: developing award-winning Community Resource Centers and Centers for Successful Living; creating a Success Center Partnership for the Muncie, Indiana Public Housing Authority; and creating CAN DO!, a turn-key system for helping organizations and communities learn how to pool their resources and co-produce large scale development training programs featuring some of the top success coaches in the world such as Brian Tracy, Les Brown, Jim Rohn, Jim Britt, Mark Victor Hansen, Bonnie St. John, Chin Ning Chu, etc. While these prototypes for locally initiated community resource centers provide the “brick and mortar” component of our marketing and distribution strategy, we also have incorporated “click and learn” technologies for distance learning on the Internet through Ultimate Destiny University. We envision an international network of thousands of local Empowerment Resource Centers™ staffed with certified Success Coaches, Empowerment Consultants™ and Empower Mentors.™ These centers will provide new and expanded distribution channels for the world’s best resources for personal, spiritual, organizational and community empowerment. 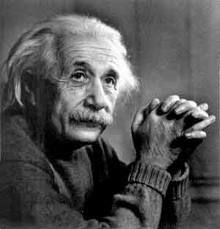 As a result, millions of people will develop a larger vision of themselves. They will learn how to set and achieve goals, increase their performance levels, manifest stewardship over increased financial resources, fulfill their highest possible destinies and live happier more productive lives. There is the potential for thousands of new businesses and millions of new jobs to be created. Families, neighborhoods and communities will be empowered and strengthened. Successive generations will realize more of their potential and America will fulfill its ultimate destiny as an example of a fully actualized society. Our ultimate goal is to help tens of millions of people world-wide awaken to their true spiritual identity, realize more of their potential, discover and fulfill their purposes. We plan to serve as the catalyst for the establishment of thousands of locally initiated facilities all over the world and the certification of thousands of facilitators. This will be accomplished primarily through strategic alliances with some of the world’s leading resources for success and empowerment, including world-class success coaches and trainers. Universal Stewardheirship, Inc. and our partners in this project seek to help people, organizations and communities realize their full human potential by providing them with expanded access to educational programs and services including personal, professional, organizational, community, and social development and empowerment. We are inviting the first 50 world-class authors and trainers nominated for the Ultimate Destiny Hall of Fame Award such as Mark Victor Hansen who teaches Mega Successful Living Skills for the Third Millennium to participate. We are asking them to contribute their insights, recommendations and resources that can help individuals, organizations, communities and nations realize more of their potential and help address the challenges and the opportunities we face as a global family. We also invite your participation in whatever way best serves you! We will be publishing an ezine, developing a membership component, submitting applications for seed grant funding and conducting periodic teleseminars and webinars to further evolve and help ensure the ultimate success of this project. Please Click Here to be taken to the Invitation to Participate! For more information, please review the draft overview of Solving Our Personal, Community, National and Global Ultimate Destiny Success Puzzles using the Ultimate Destiny Success Puzzle template based on a Rubiks Cube at candosuccespuzzlerev0131 and visit http://www.UltimateDestinyUniversity.com. PS. 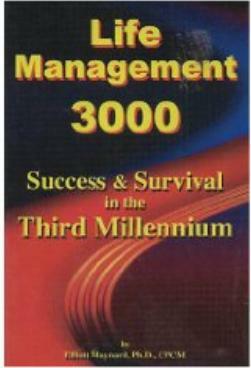 When you subscribe to our free e-zine, we will share several our our best resources with including Manifesting Your Ultimate Destiny, a 50+ page e-book and excerpts from Dr. Elliott Maynard’s book, Life Management 3000 — Success and Survival Skills in the Third Millennium. Please use the Contact and Comment Form below to share your feedback, suggestions and contact information. Thank you!